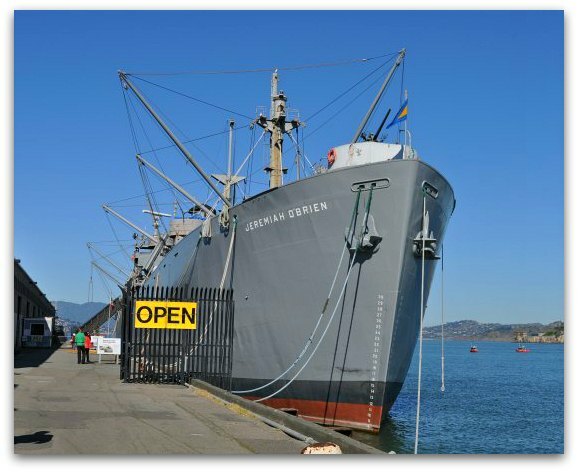 Pier 45 San Francisco is home to two historic war vessels: The SS Jeremiah O'Brien and the USS Pampanito. Both were used during World War II. This historic pier is in the heart of the Fisherman's Wharf neighborhood. It's the perfect stop for war history buffs. 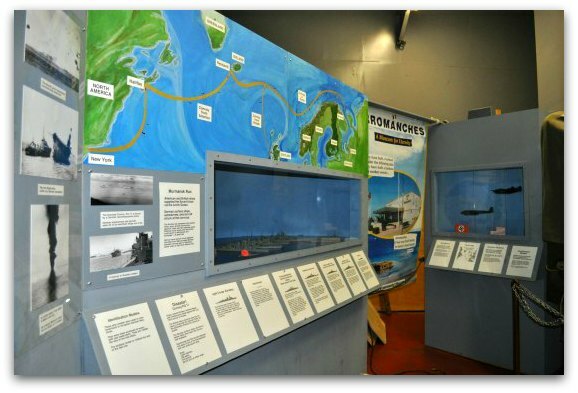 As you walk along the pier, you will find several pieces of information about the vessels and World War II. You can also visit one or both of these floating SF museums. 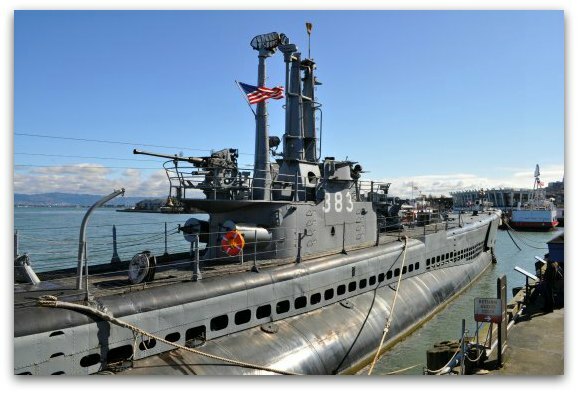 The first one you'll see on Pier 45 San Francisco is the USS Pampanito submarine. Of the two vessels, I love visiting this one the most. The reason I enjoy this one more is the additional audio tour. 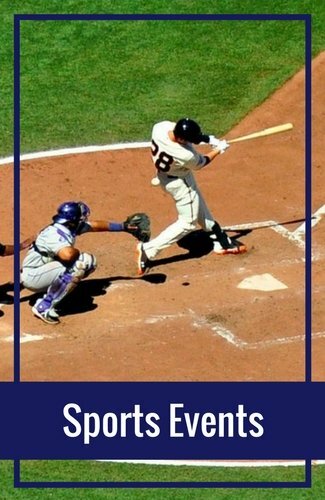 It guides you through the sub and provides commentary about what you are looking at along the way. It's also just fun to be on a submarine, since it's such a unique experience. 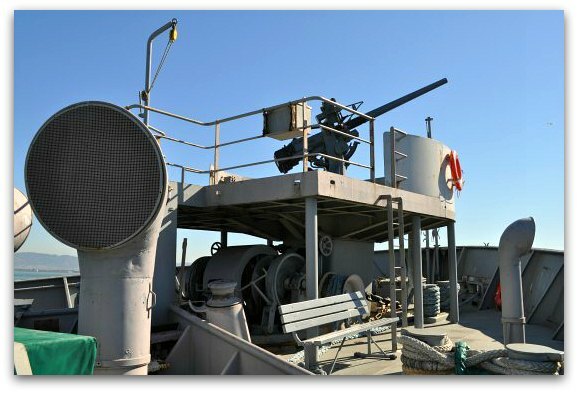 Find more pictures and additional details on what it's like to visit the USS Pampanito. The SS Jeremiah O'Brien is the larger of the two vessels on Pier 45 in San Francisco. 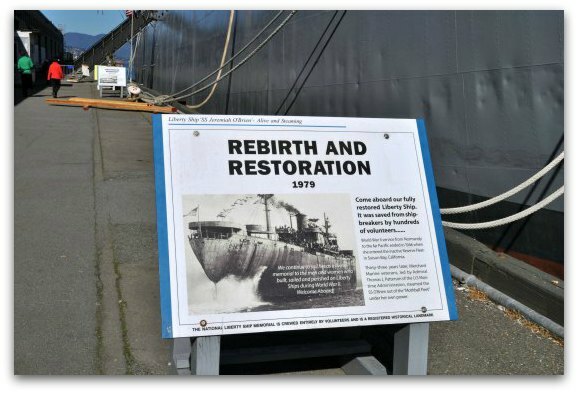 It is one of only two surviving operational Liberty ships that were built for WW II. This war ship was built in just 56 days in South Portland, Maine. Its first mission began on June 19, 1943. It completed seven tours during the war. You can visit this vessel on your own and use their brochure for your self-guided tour. This will lead you to the important places on the ship and give you a little information about each one. Once you reach the main deck of the ship, your self-guided tour will take you down a set of stairs into the cargo holds. Note: The stairs down into the cargo holds are steep. Take your time on your way down. If you think you will have problems getting up or down these stairs, you might want to skip this portion of the visit. The first area you enter you will find a video running that describes the history of the ship including its missions during the war. Here you can take a seat to learn more before you continue your visit. 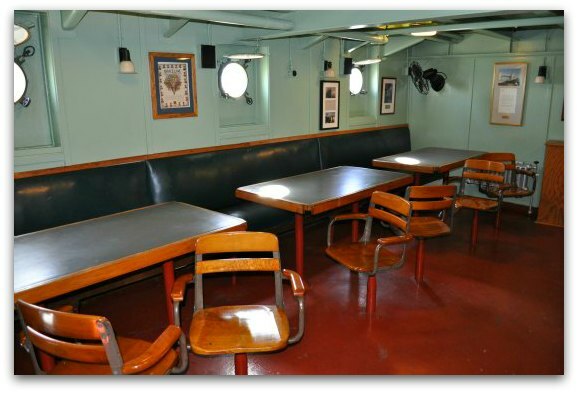 Along the right wall, you will also find a number of photos following the construction and use of these types of ships during war. The city of San Francisco is full of military sites and museums. 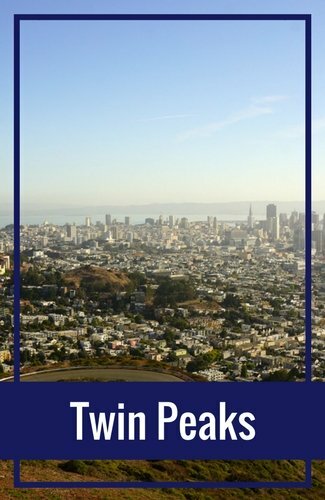 If you love visiting these types of attractions, here are a few additional places to visit while you are in San Francisco. From this room, you will enter my favorite part of the visit - the museum. 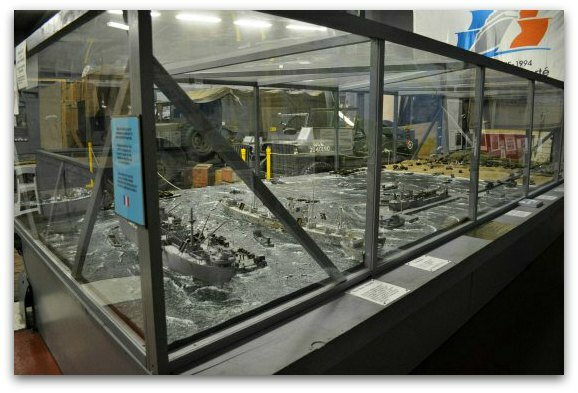 You will first encounter this large display case which shows the Normandy Invasion Site. It was given to this museum from France about six years ago. Here is a closer look at the liberty ship in this display. 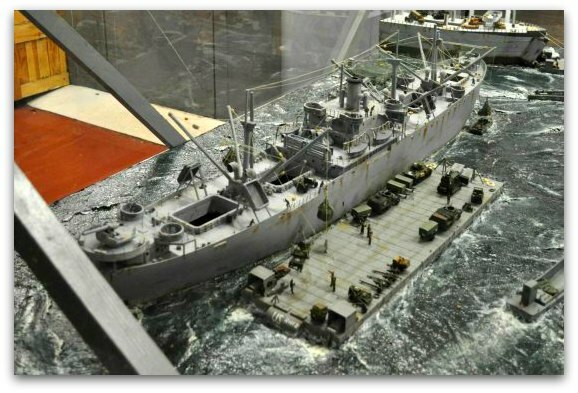 In the museum, you will also learn more about how the Liberty Ships were used in WWII. 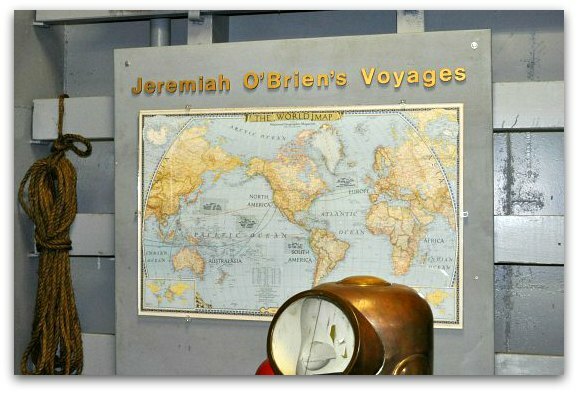 As you leave the museum, you will also find this map that shows all the missions taken by the SS Jeremiah O'Brien. After a visit to the museum, you head back up the stairs to the main level of the ship. Here are a few highlights on the main level. This is one of the guns on the main deck. You can climb up the ladder to take a closer look. 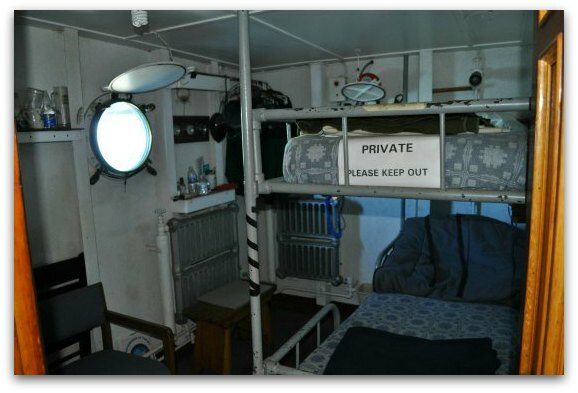 You can also peek in at the small living quarters. This ship usually housed about 45 people. 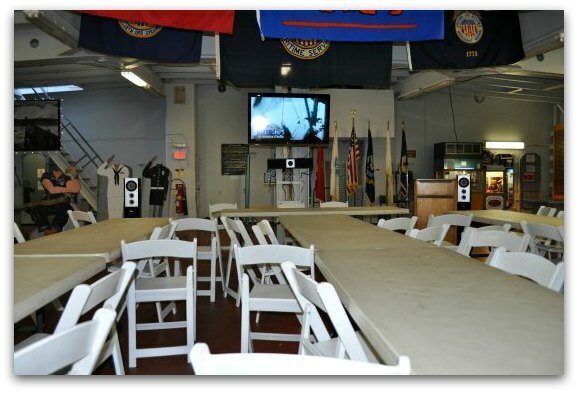 You can also walk through the Officer's Mess Hall. After you walk through this room, you are back at the beginning of your visit. You can either continue to look around or exit the boat at this point. 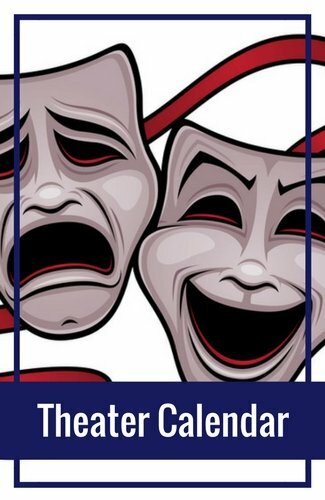 Tickets are available in person at the SS Jeremiah ticket booth. 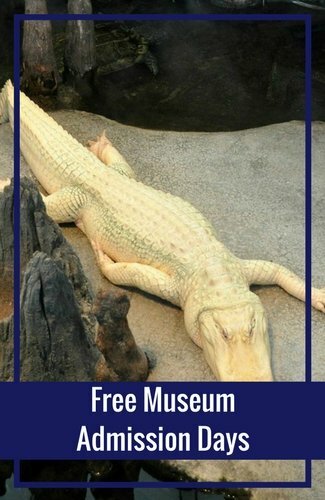 Most people visit in the afternoon, so come early if you want to beat the crowds. 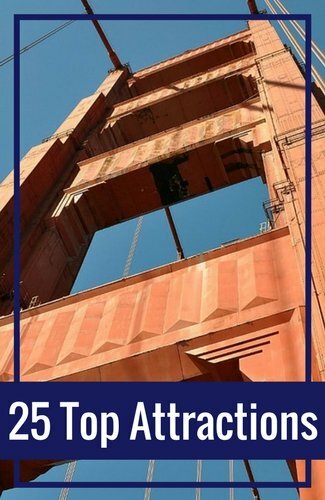 Are you planning on also visiting several other SF attractions? If so, you can save money on your admissions with the Go San Francisco Card. 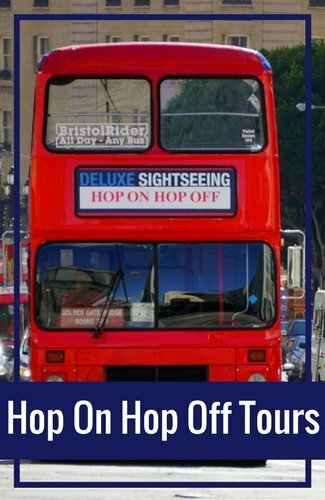 This discount attraction pass includes admission to the SS Jeremiah O'Brien as well as other top SF attractions including the Aquarium of the Bay, the California Academy of Sciences and almost 50 other Bay Area attractions. Learn more and save money today! If you decide you don't want to visit either historic vessel, you can still walk along Pier 45 San Francisco for free. You will find several pieces of information and signs along the way. Here is an example of one sign outside the SS Jeremiah O'Brien. 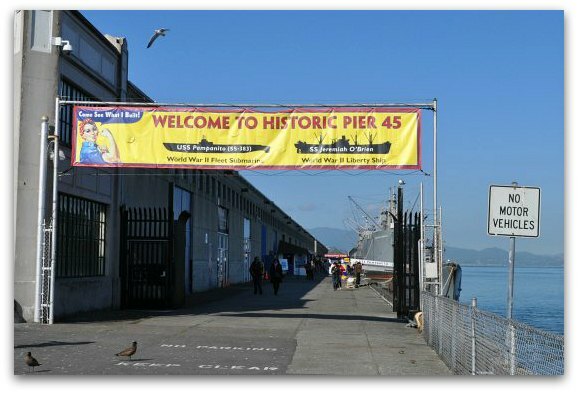 As I mentioned above, the historic Pier 45 San Francisco is in the heart of the Fisherman's Wharf neighborhood. Here is a map showing where it's located within this district. Visit the Fisherman's Wharf Attractions & Activities page for tips on how to get here..
A Perfect Day in Fisherman's Wharf: How do you cover this entire district in just one day? 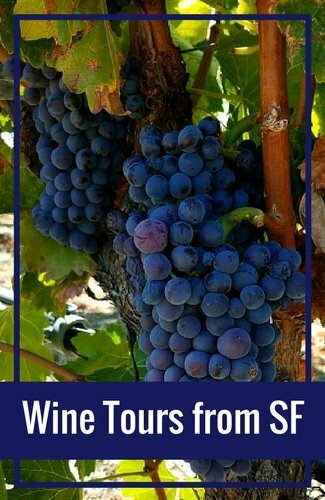 Click through the link above to find a self-guided tour that offers you the chance to see as much as possible in just one day. Boudin Bakery: Just next to Pier 45 San Francisco, you will find one of my favorite places to grab some clam chowder, Boudin Bakery. This yummy restaurant is famous for their sourdough bread. Grab some soup in one of their bread bowls and you will be set for the day! Buena Vista Cafe: Have you always wanted to try one of those famous Irish Coffees from SF? If so, then this is the place. This historic cafe introduced this famous drink to the US. Today, you will still find some of the best here. In addition to their Irish Coffee, you can also enjoy a hearty breakfast, delicious lunch or filling dinner.